During the Great War soldiers did battle among the peaks and glaciers of the Alps, strategic positions essential to the control of the underlying valleys. Roads and trails were quickly built to provide faster supplies with minimum effort to the troops distributed along these high altitude outposts. Where the roads couldn’t go, transportation was provided by human labor and mule trains. Hand and motor powered cableways were built in the most impervious areas. These provided transportation of artillery, food, equipment, construction materials and lumber to the most inaccessible outposts. 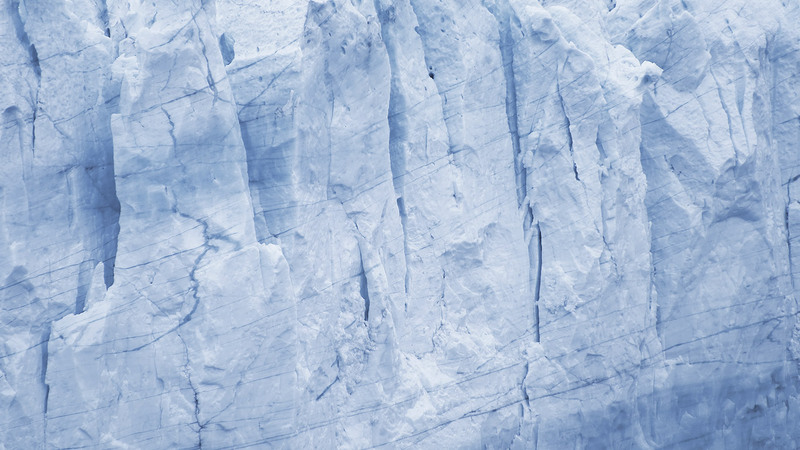 Remains of these structures still re-emerge from the ice on the Marmolada. The Museum of the Great War in Marmolada had a creator, Dr. Mario Bartoli, and a financer, Dr. Bruno Vascellari. Both men were pioneers in the world of Museums dedicated to the memory of the Fallen in the Great War and the Marmolada Museum was inaugurated on June 9th, 1990. Shortly afterward, many others began opening in different towns. In 2015, twenty five years later, the Association Museo della Grande Guerra in Marmolada Onlus and the Marmolada Srl company, which had promoted the opening of the museum, decided to remodel the building to commemorate the centennial of the Great War. 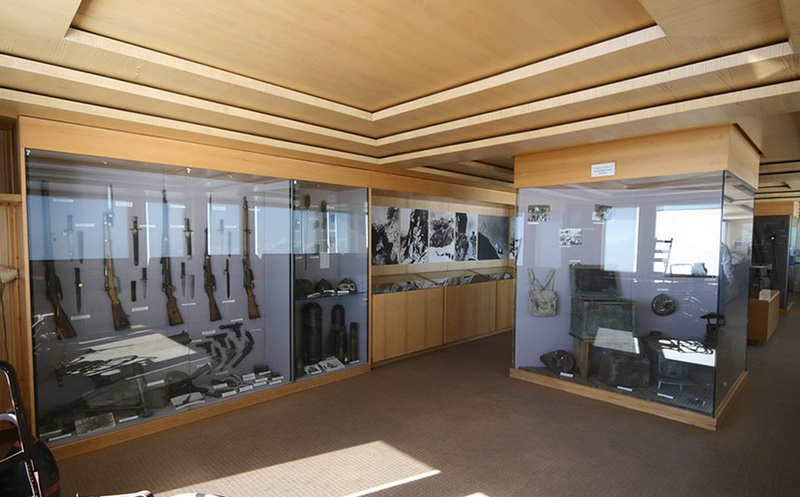 The Museum Members’ Directive and the Scientific Committee also chose to change the exhibit: it isn’t just a display of artifacts, objects, weapons, uniforms and documents. 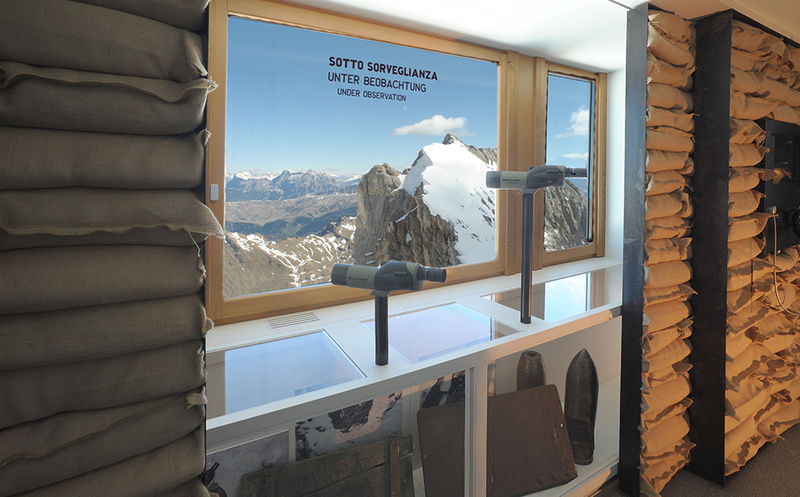 They also meant to give the museum a sensory significance: make visitors feel the atmosphere of the war as it was fought in places right above where the museum is located, at an altitude of about three thousand metres in the snow, making this museum the highest in Europe. It gives visitors an idea of what it was like to live, fighting man against man and against the further forces of nature, which among these high peaks is often hostile, savage and sinister. To achieve this effect curators relied on a compelling technique, setting up an interactive, multi-media and multi-sensory course that guides the visitor to experience what the weather conditions at high altitudes were like. They get the impression of ending up in the middle of the war, in the same situation as the soldiers from the past. who founded and built it in 1990. 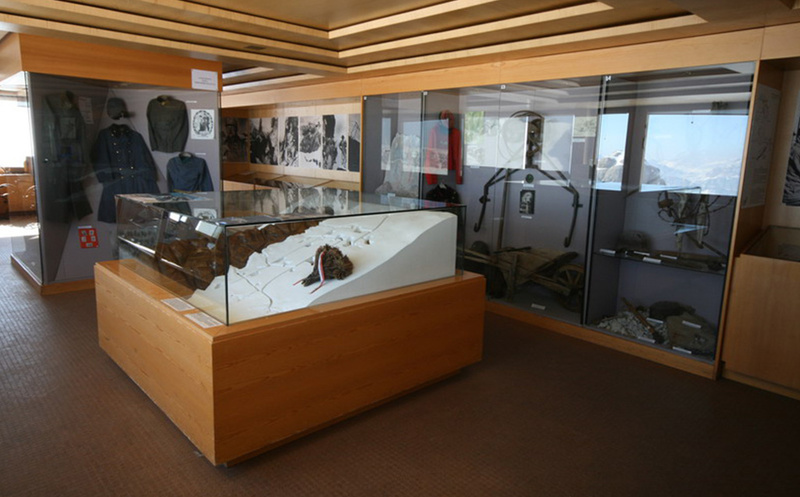 The management for the Association Museo della Grande Guerra in Marmolada-Onlus thanks everyone who – in various ways – collaborated by offering their competence and professionalism in the complete remodelling of the Museum Marmolada Grande Guerra 3000m. Scientific Committee for the association Museo della Grande Guerra in Marmolada-Onlus, Marmolada Srl, Commissariato General Commission to Honour the Fallen in War, Eastern Onoranze Caduti in Guerra, Eastern Valsugana and Tesino Cultural Historic Association, Ammann Josef, Bressan Attilio, Boscheri Giuliana, Burbello Alberto, Busatta Cristina, Curti Alberto, Dellagiacoma Lucia, Fornaro Mario, Holstein Claudine, Kofler Laurin, Millozzi Federica, Moroder Paulina, Norbury Gareth, Rebholz Jutta, Romanato Giampaolo, Rosso Delino Maria, Rosso Flavio Claudio, Rotasso Gianrodolfo, Schettino Giuseppe, Soraru Luciano, Vascellari Mario. 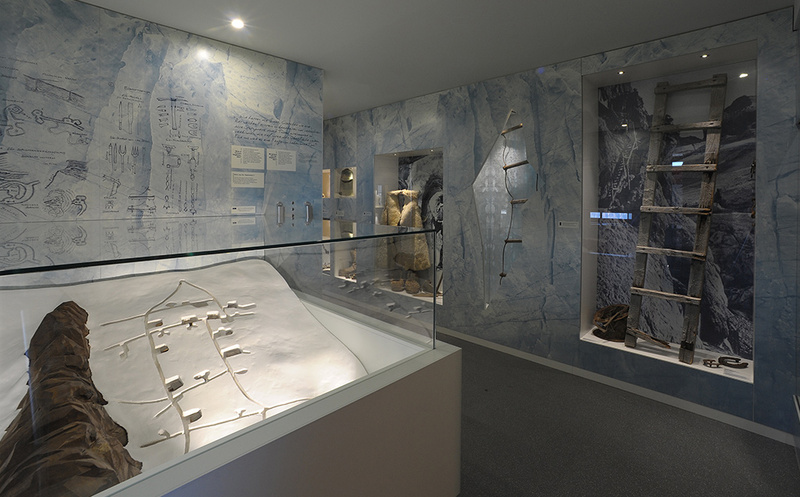 Furthermore: the Councilors of the Marmolada Museum Studies Centre, the heads of Marmolada Srl., the members of Marmolada Srl, and the businesses that collaborated in the building of the Museum. All the managers, workers and delegates from the institutes consulted in the recuperation of iconographic material. The entire staff at Funivie Marmolada. Apologies for any eventual involuntary omissions.